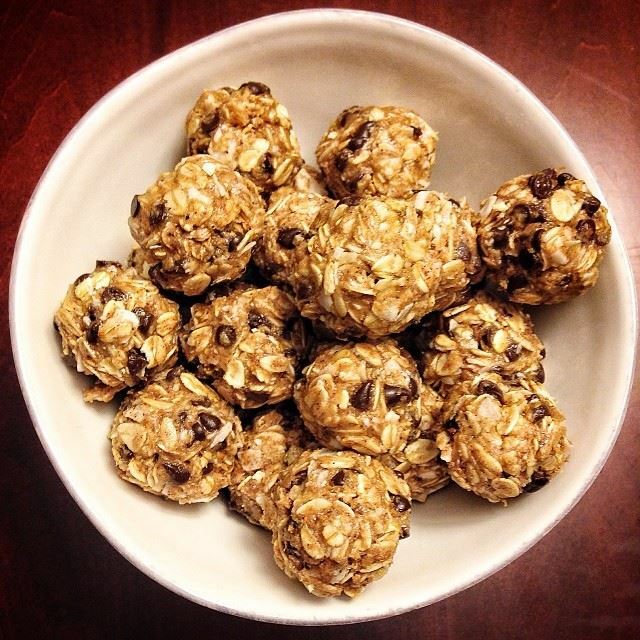 My friend Kristi makes these little energy bite snacks and every time she brings them into work I get so excited. They are great for a quick snack, breakfast on the go, or just a yummy treat that satisfies the dessert craving. Stir all ingredients together in a medium until thoroughly mixed. Cover and let chill in the refrigerator for 30 minutes. Once chilled, roll into balls of whatever size you would like. (Mine were about 1″ in diameter.) Store in an airtight container and keep refrigerated for up to 1 week. Visit her site and check out more of her yummy creations!!! Update: If you are having trouble getting it to pack into balls, add more honey and more peanut butter 🙂 It works best after 30 minutes in the fridge, any shorter or any longer and it seems more difficult to roll. Let me know how they turn out for you, and if you make any fun changes to the recipe… like adding cranberries!!! !